Payment of $23/month with no interest for 60 months requires a down payment equal to sales tax and delivery (if applicable). For $0 down payment, a total of $1,409.56 will be financed with equal payments of $24/month with no interest for 60 months. Estimated based on initial lease payment of $38.51 plus 60 weekly lease payments, not including sales tax or any optional delivery, warranty, or liability damage waiver (LDW) fees. 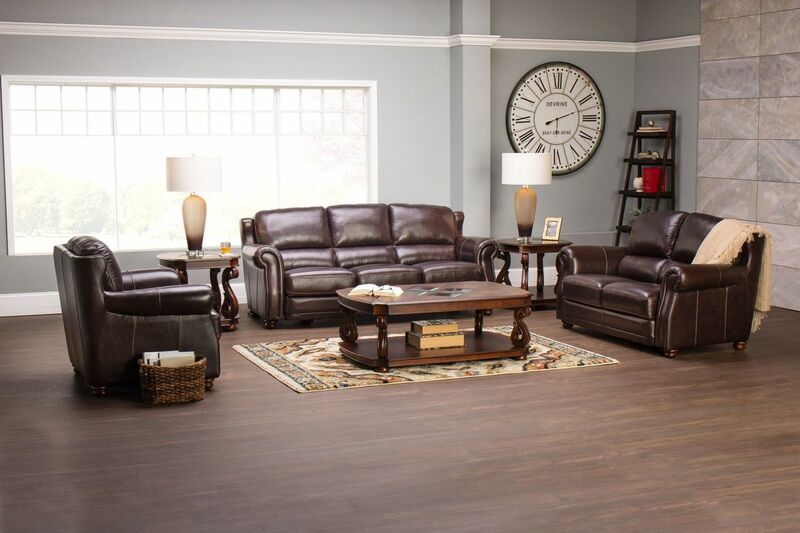 Unless you exercise your early purchase option, your total cost of ownership will be $2,310.60, not including tax or any optional delivery, warranty, or LDW fees. 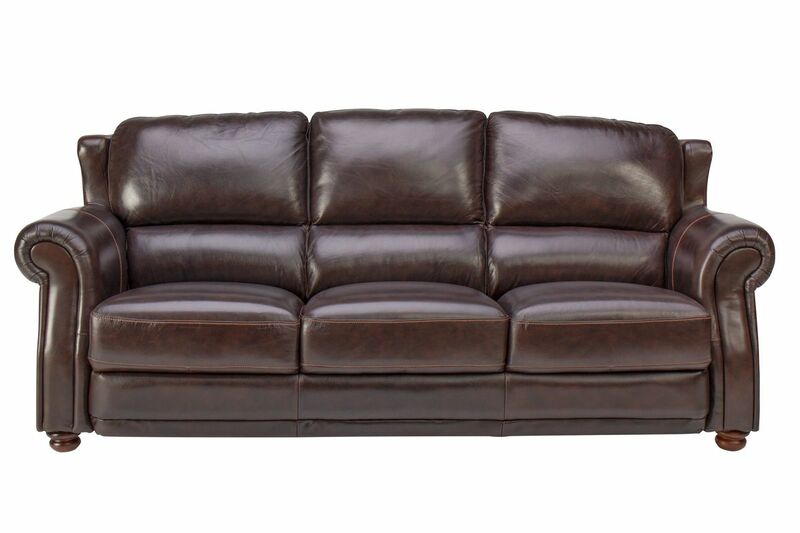 Everyone will be sure to have a spot on this luxurious Brownstone Leather Sofa. Comfortable deep seating is made from a 2.0 high density foam seat core for an initial softness with underlying seating support. 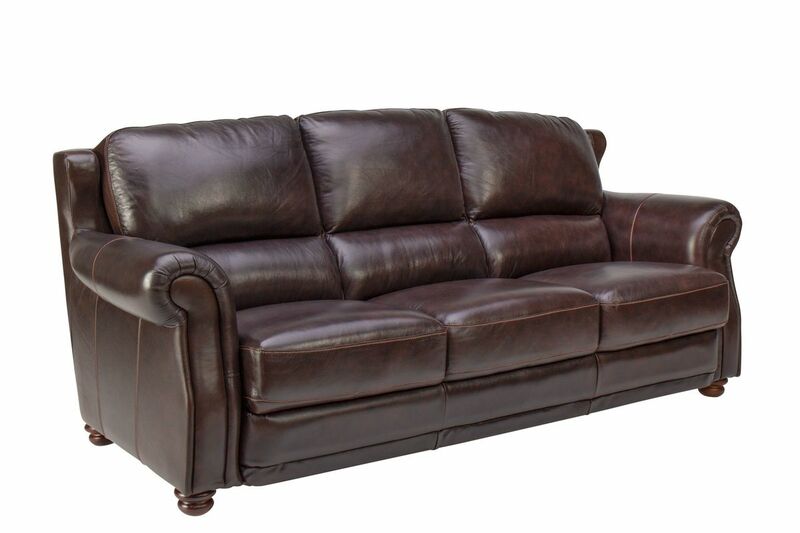 Since this sofa is upholstered in 100% top grain leather everywhere you touch, it is extremely durable and will be sure to last over time. Split leather covers the padded sides and back.